Rancho Pequeño and Other Places…. Kester Street, for those who don’t know her, is a narrow road halfway between Van Nuys and Sepulveda Boulevards, paralleling both. 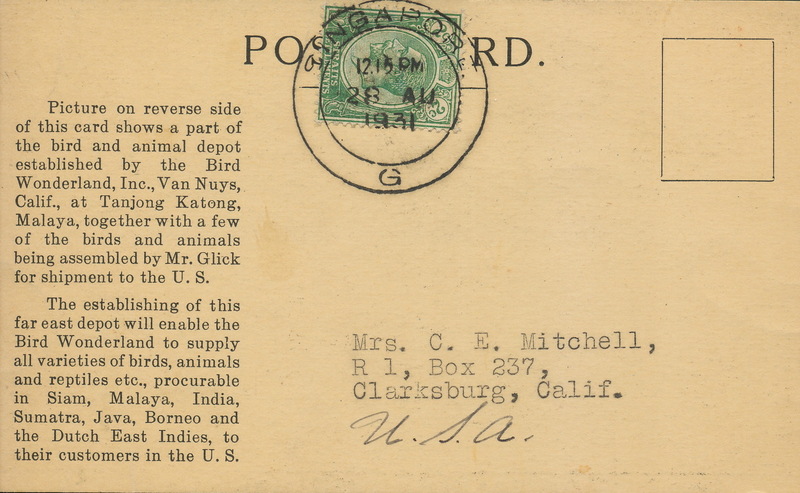 Before WWII, it was on the fringe, out on the wide land, beyond settled Van Nuys. 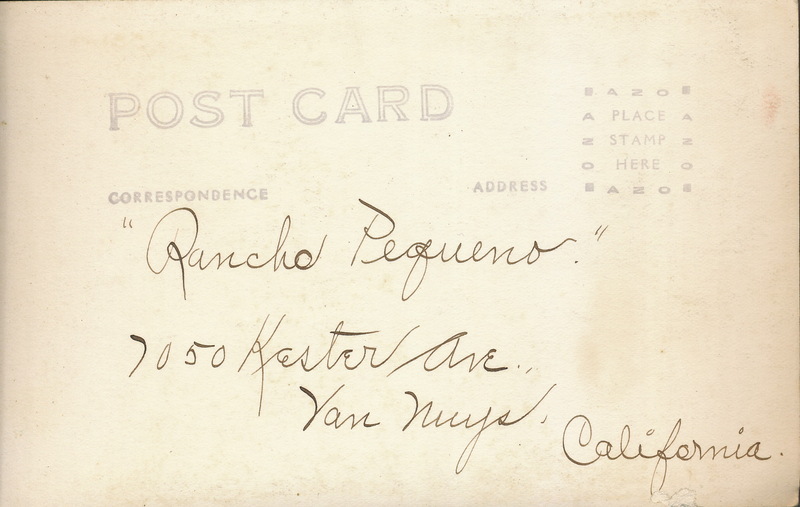 Rancho Pequeño at 7050 Kester (near Vose) was significant enough to have its own postcard. 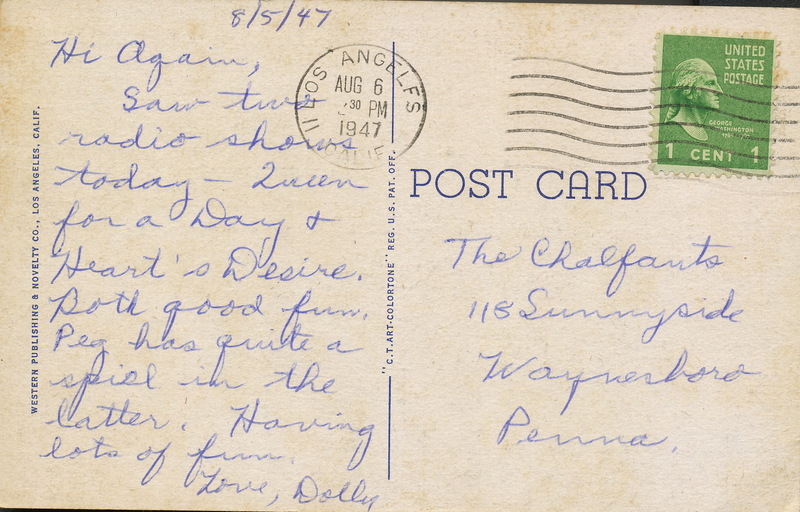 These are postcards scanned from the collection amassed by Tommy Gelinas at Valley Relics. They provide pictorial fantasy, mined from fact, of the places and events and people who once lived in the San Fernando Valley. 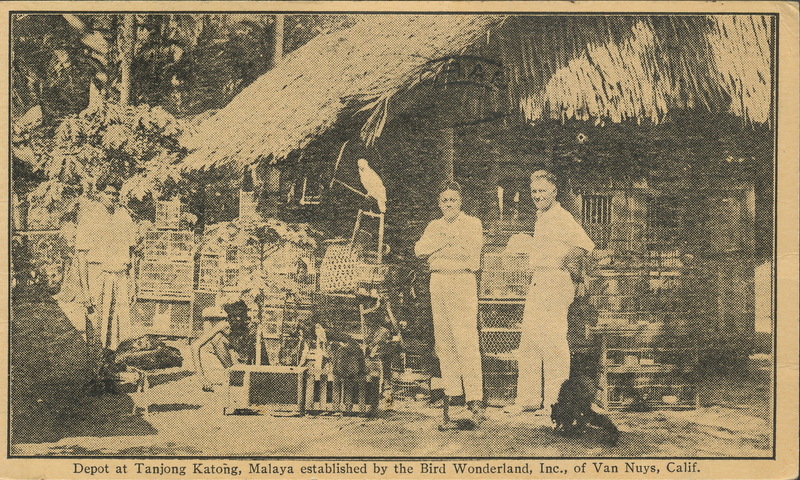 A 1931 postcard shows two men in Malaya (Malaysia) procuring exotic birds for shipment back to Bird Wonderland, Inc. in Van Nuys. 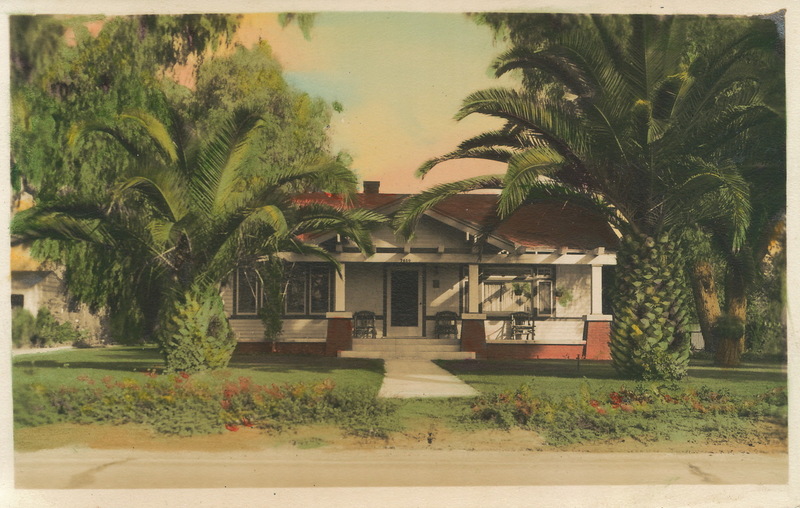 It was located at 15640 Ventura Boulevard, Van Nuys, CA, a location that today is known as Encino. 80 years ago, the name Van Nuys was used all the way from Beverly Glen south of Ventura up to Roscoe west past the present day 405. There was no shame in the name. Our Ventura Boulevard has an interesting article on Bird Wonderland, which also had exotic animals, including, Jackie the Lion who allegedly inspired the roaring one seen in every MGM movie. No motel on Sepulveda today enjoys an entirely good name. Much of them, especially those north of Victory, are havens for prostitution. But back when the area was a main highway into the San Fernando Valley, before the freeway, it hosted many family owned motels. 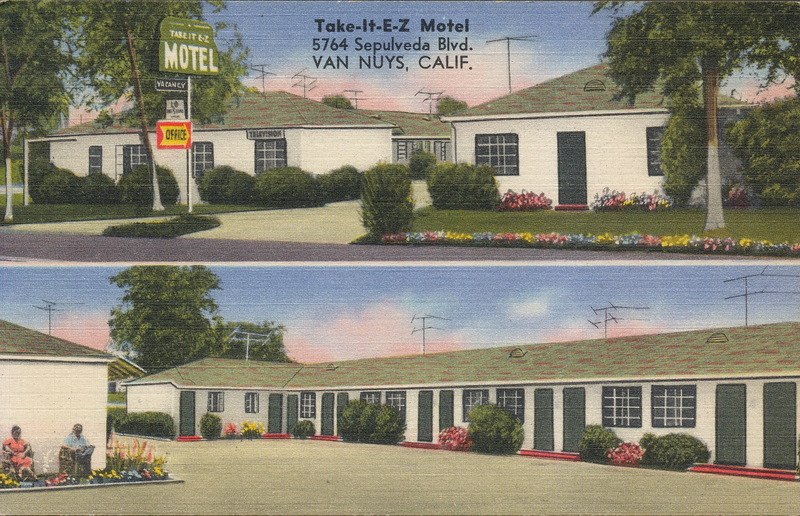 Take it E-Z Motel at 5764 Sepulveda was owned by Mr. and Mrs. GB Parrott. The motel is still there, at Hatteras, across from Target, and is planned for tear down next year with a new replacement. 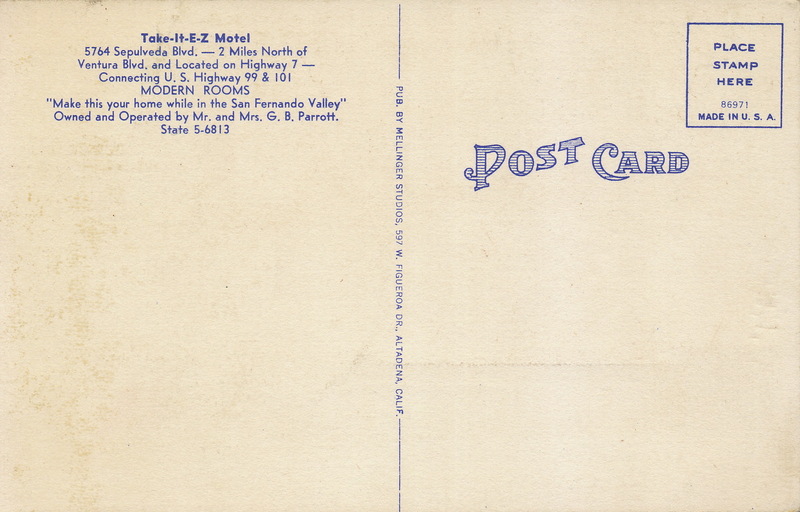 The postcard shows two people sitting in chairs on the side of the building, facing the western sun. 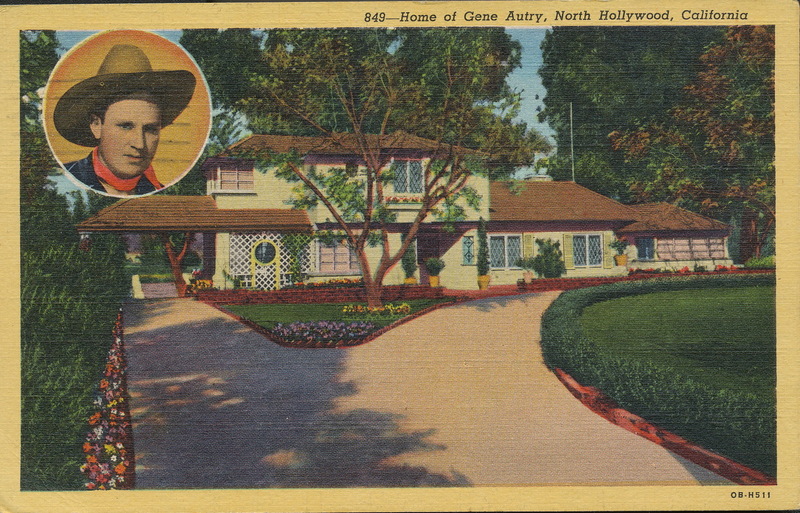 Dorothy visited Hollywood and sent a postcard of Gene Autry’s home in Toluca Lake on August 5, 1947. Things may change in Southern California. But people still text and email the folks back home to tell them how they came in contact with celebrities and how wonderful the weather is. How beautiful the valley must have been in those days, and how drastically it has changed over the years. Thanks for posting these. Enjoyed looking at them.